getting back on my life track and it starts with my eating habits. 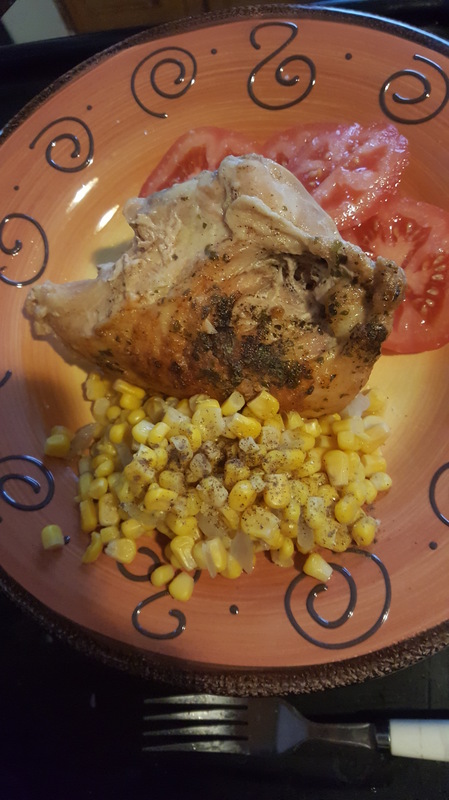 backed lemon chicken breast, no salt added whole kernel corn and fresh tomatoes. next back to exercise. 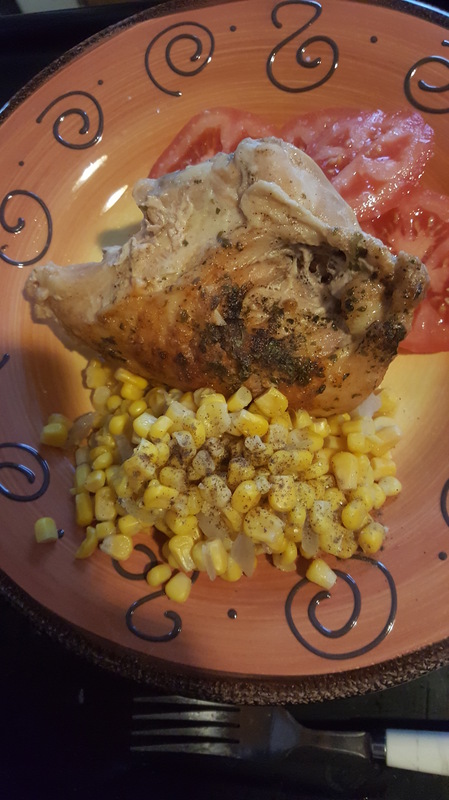 This entry was posted in Fit and tagged # yumyum #pinterest #life, #fitalittle bit, 30daychallenge, chicken, life, sundaymeal. Bookmark the permalink. I’m going to post yours too. great minds think alike.